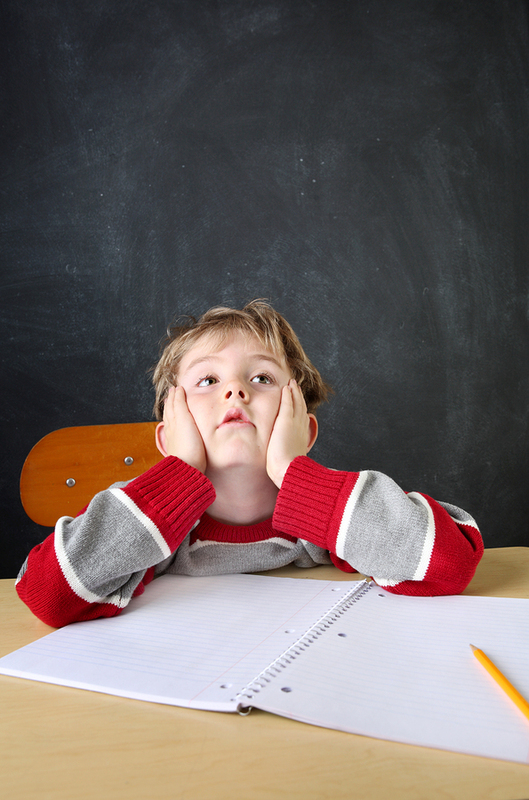 Students with ADHD may have trouble staying focused on their math in class and at home. Attention Deficit Hyperactivity Disorder now affects about 11 percent of American children according to the Centers for Disease Control, causing these students to have more than the ordinary amount of trouble paying attention and controlling impulsive behavior. In the classroom, these students may break rules more often, have difficulty understanding lessons, and take a lot longer to complete assignments because of their attention drifting in and out. Many students who have ADHD have above average IQs, yet experience difficulty in the classroom that may lead to lower grades or other problems. Math teachers can help these students find success by using teaching methods that assist students with ADHD. –Breaking instructions down into smaller parts. Giving one piece of the directions at a time is helpful for kids with ADHD and helps them stay focused throughout the class period. Breaking down directions will help even those kids without ADHD and is a good general instructional method to use. –Giving written directions. Students with ADHD may not remember average to lengthy oral directions, so providing written directions will allow them to refer back to them frequently during the assignment and help keep them on task. –Checking student work early and often. Students with ADHD may need to be redirected, since they may not have listened to directions carefully. It is very frustrating for students with ADHD to have to redo assignments, and this contributes to the common problem of taking hours each day to do homework. Checking classwork after a few minutes will give the teacher a chance to redirect their efforts if they misunderstood the assignment or need help to do it correctly. –Using patterns and mnemonics. Learning patterns in math makes it easier to understand and remember. Mnemonics are memory devices, like “don’t miss Susie’s boat” to remember how to do long division (divide, multiply, subtract, bring down). Anything that seems to make math easier and faster will help kids with ADHD focus better. Learning math on a tablet can make the process more engaging. –Providing real-life examples. Real-life examples can make math concepts come alive for all students including those with ADHD. Calculating costs and making change are good ways for younger students to understand basic concepts. For older kids, concepts of volume and surface area can be taught using liquid to fill containers or measuring the square footage of a lawn that needs to be mowed. –Using technology and visuals. Charts and graphs are a good way to assist kids with ADHD to remember the many skills and steps they need to remember for complex calculations. Computers and smartboards also help students to interact with the material in different ways, which can affect transfer from short-term to long term memory. Thinkster’s unique learning system can help kids with ADHD by being interactive and breaking down math concepts step-by-step. Kids will naturally be interested in working with the tablet, which can feel like playing a game. Since Thinkster is done at home, students can take frequent breaks according to their needs and attention span. Daily help from a coach will lead to progress in learning needed math concepts. Start your free trial of Thinkster today! Teaching Math for Kids With ADHD: How to Help? About 11% of American students are affected by ADHD. Though worrisome for parents, here are some tips for helping them learn.